The Most Rev. 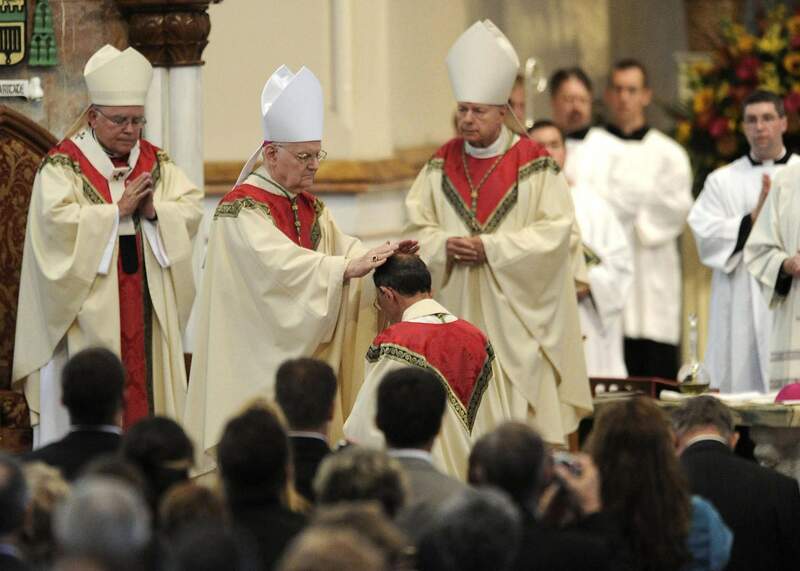 Donald Trautman, second from left, retiring bishop of Erie, Pa., prays and lays his hands on the head of Monsignor Lawrence T. Persico, kneeling, the bishop-elect of Erie, Pa., during Persico’s rite of ordination at St. Peter Cathedral in Erie, Pa. A grand jury report released Tuesday, Aug. 14, 2018, documenting seven decades of child sexual abuse by Roman Catholic priests in Pennsylvania says Trautman allowed priests to continue restricted or regular duties despite credible allegations of abuse, was dishonest to the public or other officials about the diocese’s knowledge of abuse and reassigned priests with credible accusations to keep them in the ministry. 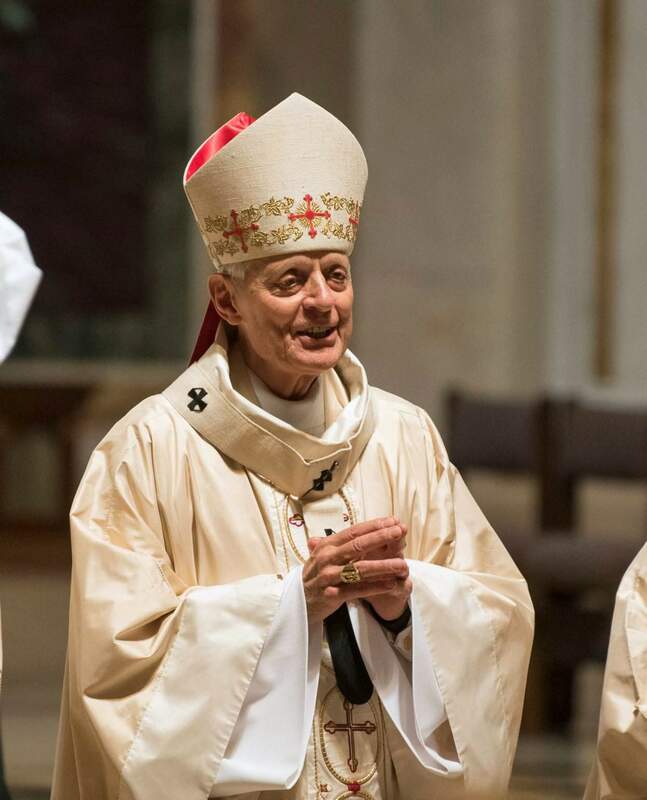 Cardinal Donald Wuerl, Archbishop of Washington, conducts Mass at St. Mathews Cathedral, Wednesday, August 15, 2018 in Washington.